The minority business advocacy group MOKAN organized this protest outside of MSD’s Missouri River treatment plant today. The minority business advocacy group MOKAN says the Metropolitan St. Louis Sewer District is not doing enough to include local minority and female workers in its sewer upgrade projects. 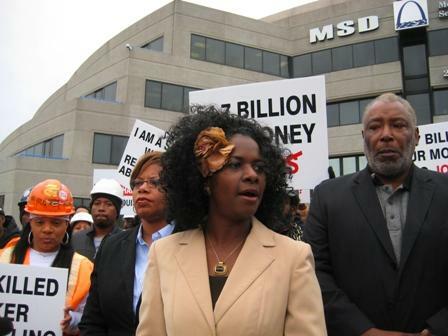 MOKAN executive director Yaphett El-Amin says her group wants MSD to increase the transparency of its hiring practices and invest at least $23.5 million in worker training programs. 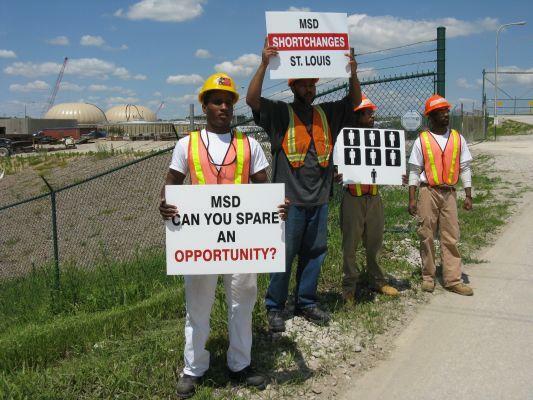 “By creating a qualified pool of minority and female workers we'll ensure that MSD has diversity on every project, not just some of them,” El-Amin said. Unless MSD meets its demands, MOKAN is asking area residents to vote against a measure that would allow MSD to issue $945 million in bonds. 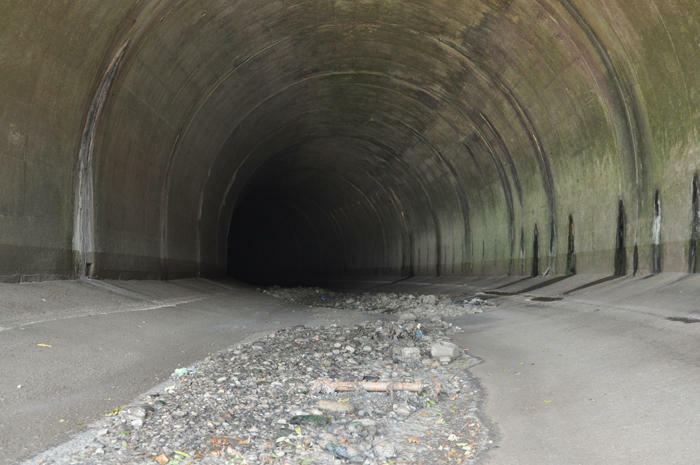 The funds from the sale of the bonds would go toward paying for $4.7 billion in sewer upgrades over the next 23 years. Those upgrades are required by a federal consent decree. MSD spokesperson Lance LeComb says the sewer district has been working with MOKAN to improve its minority hiring practices and is open to more discussions. But he says voting against the bond measure in the special election on June 5th will only increase sewer rates to consumers. LeComb says that if voters reject the bond measure, they can expect to see most of that rate increase take effect on July 1. If the bond measure passes, LeComb says sewer rates will still increase, but by only by a few dollars a year. Updated at 5:45 with statement from the Attorney General's office. Updated at 2:00 with comments from MSD, Missouri Coalition for the Environment. 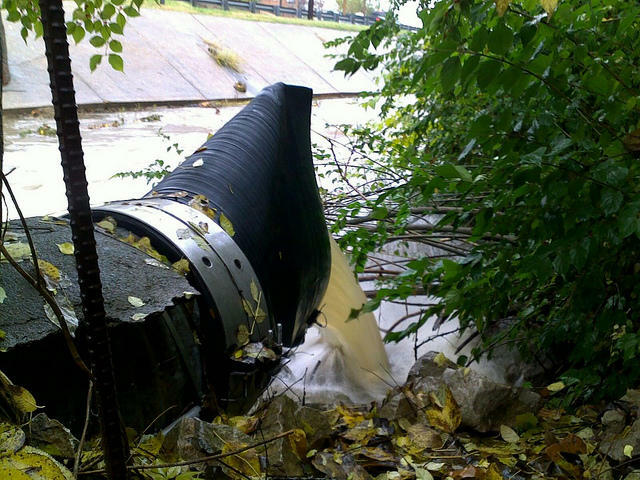 A federal judge in Missouri has given her approval to a consent decree that requires the Metropolitan St. Louis Sewer District to make billions of dollars in improvements to settle Clean Water Act violations. A minority business advocacy group says the Metropolitan St. Louis Sewer District needs to do more to include minority and female workers in its projected $4.7 billion worth of upgrades over the next two decades. Yaphett El-Amin, executive director for the group MOKAN, says because city residents and businesses pay into MSD's sewer tax system, MSD should commit more jobs to local minority contractors.